Unique gift stores, old and new, are scattered throughout Northwest Arkansas. 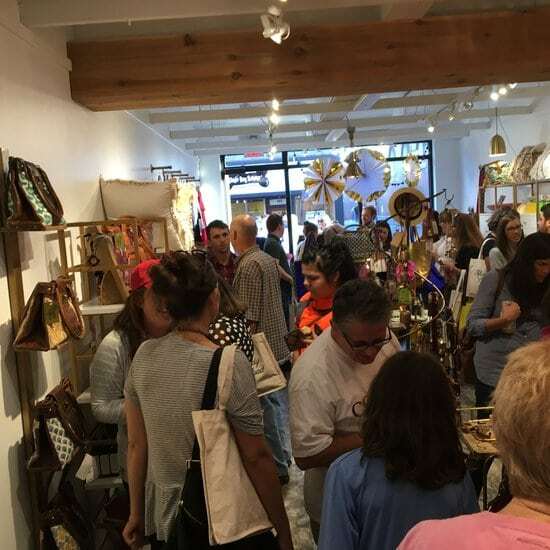 Some feature gifts, bags and clothing from foreign lands, others offer the latest fashions, and some specialize in clothing and gifts made in the good old USA. Make it a point to visit some of these wonderful stores, you will be glad you did. Below are the Top 10 unique gift stores in Northwest Arkansas. Great place for beautiful and stylish women’s clothing including tops, shorts, premium denim, rompers, shoes and accessories. Customer service is exceptional from the moment you walk through the door. You’ll love shopping at Label. Perfect Choice has the very latest trends in women’s apparel, accessories, bags, and jewelry. Looking for just the right outfit for a date night or special occasion? Shopping for a difficult-to-buy-for woman? You’ll find just the item you’re looking for at Perfect Choice. Oh Baby Boutique is a hot new boutique specializing in the latest in baby gear and gifts for the mom to be. Offering top baby strollers, car seats, baby clothing, excellent friendly customer service and more. For everything “BABY,” shop this cute local store. The place for classic, trendy, stylish clothing and handmade jewelry in Eureka Springs. They also have gifts for the entire family, home decor, furnishings and garden accessories. Eco-friendly store, featuring soft organic cotton clothing, bamboo, hemp and other natural fibers. The store caters to the purchaser who is concerned about sustainability and fair trade practices. Beautiful unique jewelry from 7 local artists.is also available for purchase at Good Things. Shopping for unique gifts is made easy when you choose to stop by this delightful store..
Has a huge selection of Christian based cards, planners, calendars, decorative plates, mugs and many other wonderful gift items. Great place to shop for the Christian in your life. Vinyl records are the rage once again. Big Fish is the coolest record store in the region, and it has a huge selection of new and used 70s, 80s and old school Country. It also has unique gifts for music lovers of all ages. Rod, the owner, and his dogs will make your visit to the store a memorable one.